This lovely girl came out of the dog pound. She is vocal in the kennel - she just needs out and into a nice home. 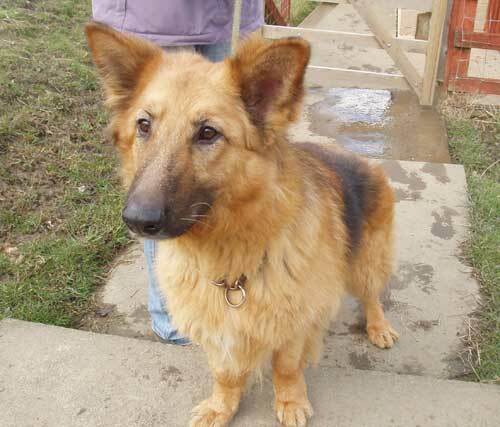 A great favourite with the kennel staff but she urgently needs a forever home now. 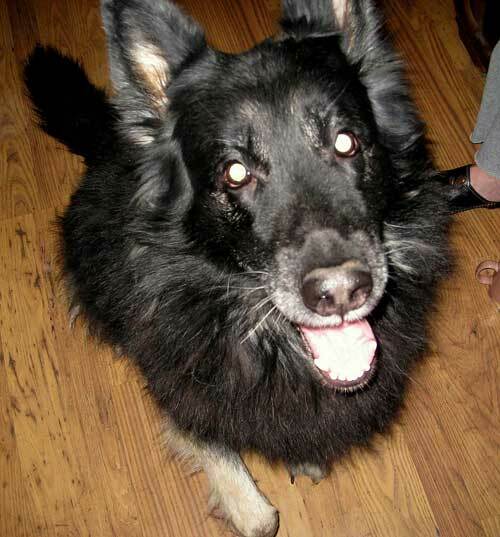 Blake is a black and tan, semi long-haired, 8-year-old, entire dog. He has been with his owner since he was a puppy. His owner suffers from agoraphobia and had not been able to take him out and so he is not used to going out and is not socialised or trained. Blake loves people and gets very excited when people visit the house. He is not good with cats and has not been socialised with other dogs. 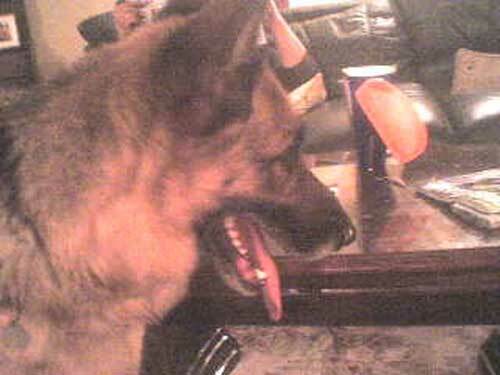 The owner is not sure how Blake would be with young children, although he is fine with older children (12+ years). 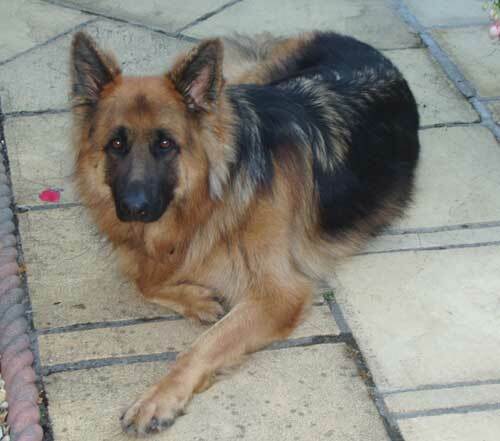 Blake is being urgently rehomed due to the owners' health problems. 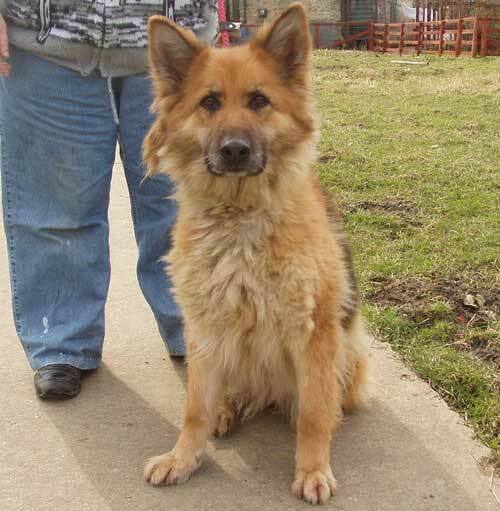 Zak is a black and tan, semi long haired, entire, 8-year-old male. He lives with two cats and is good with children. 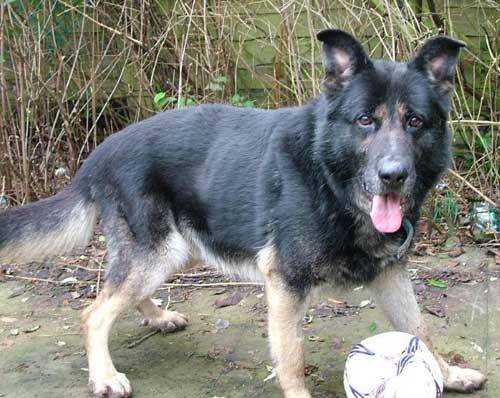 Zak has lived with the same family since he was a puppy and has not been socialised with other dogs. He is a good natured dog but needs socialising with people outside the house as he will bark at them when on a lead. 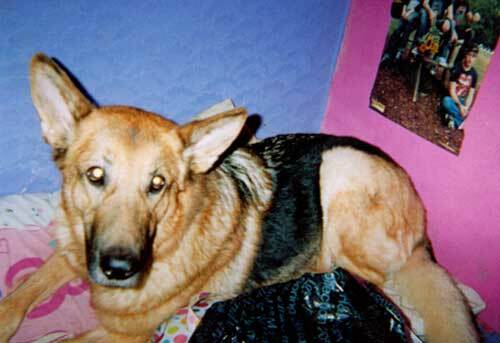 His owner is recently widowed and she is unable to mange Zak on her own. He is not taken out and is slightly overweight. 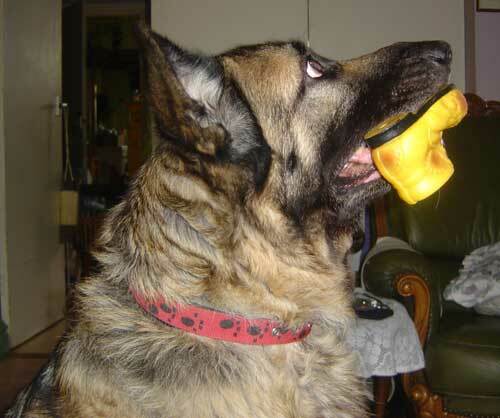 Zak has some arthritis but is not on any medication. He needs a home where he can get the attention, exercise and socialisation which he needs. Rambo is an 8-year-old, black and tan, short haired, neutered male. He is very playful and strong but obedient and loving. Rambo is not used to cats or children. He is good with other dogs but a bit timid with small dogs. His owner had him from a puppy, but she has become unwell and is no longer able to care for him and so he is being rehomed by her granddaughter. Rambo is quite a dominant dog and will need an experienced home. This gorgeous boy is 18mths old and was picked up as a stray. He supposedly hates cars but this is him in a volunteers car! He is a lovely bouncy boy who has had a bad start in life and has had at least 3 homes although one lasted just 2 hours. Nothing wrong with Diesel just an idiot owner! We are not sure yet what he is like with other dogs and he probably won't like cats. Needs an adult home or home with older children. This is our Freddie a young lad that also came out of the dog pound. Lovely boy but he needs an experienced owner who will train and socialise him. 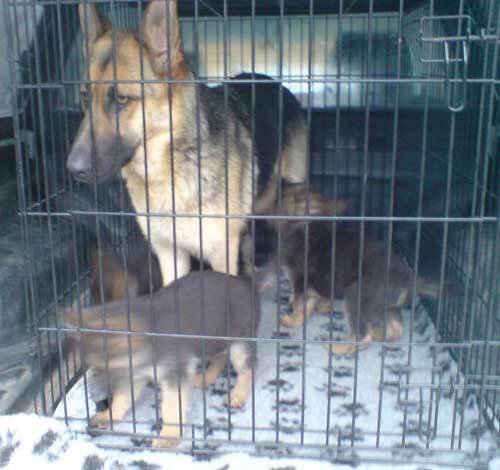 He is protective and kennel guards. He needs a home without young children. Reagan is a black and tan, 7-year-old, neutered dog. He is a lovely, calm, gentle, soft, compliant dog with no issues. He gets on well with other dogs but hates cats. He is very friendly with people and is used to being around children. He has been let off the lead rarely and has a limited recall. He suffers from hip dysplasia in the right hip and drags his right hind a little but this does not stop him from walking and running. He is on medication. Reagan would make a lovely pet for an older couple. Although he is very tolerant of children, as he is getting older he deserves a quiet family wanting a dog with no issues that they can enjoy, gentle walks and a warm fireside. This beautiful girl is another dog that was saved from being put to sleep in the pound. We think she has been subjected to abuse at some point as she is hand shy. We were concerned about her and feared a head injury but she has been seen by a vet and she is now fine. She is a quiet friendly girl who needs a home asap as we don't think it is fair to leave her in kennels. We think she would be better in a quiet home without young children. She will make a wonderful companion, she has a super temperament. Max came to us with his partner Tanya. They have not had a good life! Believed to be 7-8 years old. Very friendly with people including children, not too keen on other dogs but maybe he just wants to play. He hates cats with a passion. A lovely dog that deserves a happy retirement. 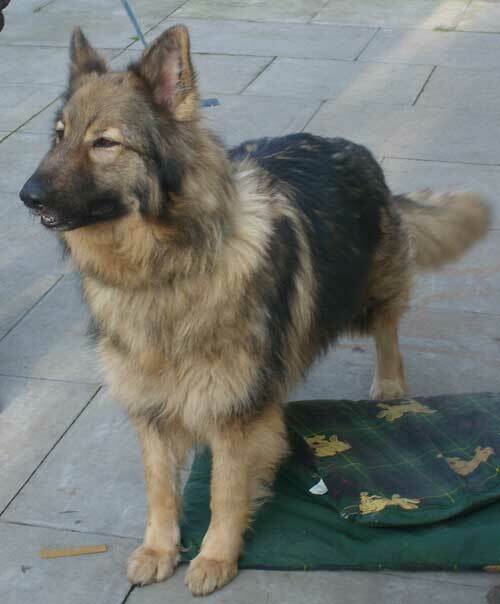 Simba 4yrs - West Mids. In kennels for weeks now. Kal is a 2-year-old, black and tan, long haired, neutered male. At the moment he is very protective of his owners and will protect when on his lead as well. 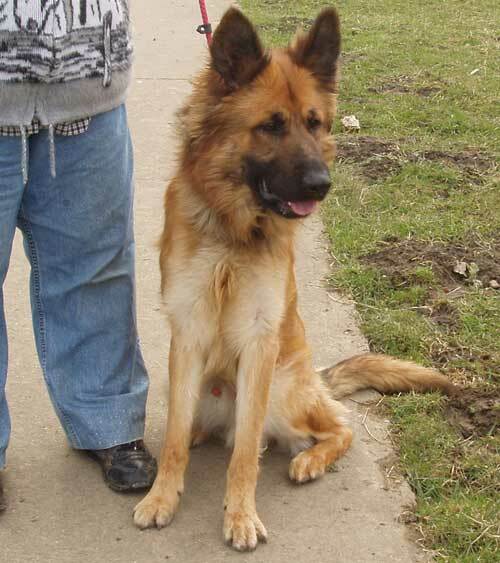 Kal will need an experienced home. He is fine with children but not to live with, sometimes good with other dogs (not small dogs) and does not like cats. 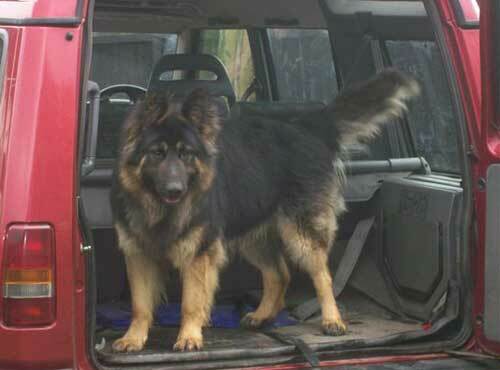 Kal is vaccinated, microchipped and insured. He needs to be rehomed quickly as his owners are returning to full-time work and will no longer have time for him.